£100 non refundable deposit payable at time of booking. Full payment due 6 weeks prior to the start of your holiday. Note: IF BOOKED AFTER 6 WEEKS THEN FULL PAYMENT IS REQUIRED AT THE TIME OF BOOKING. £50 damage waiver fee payable in advance which will be refunded after inspection. 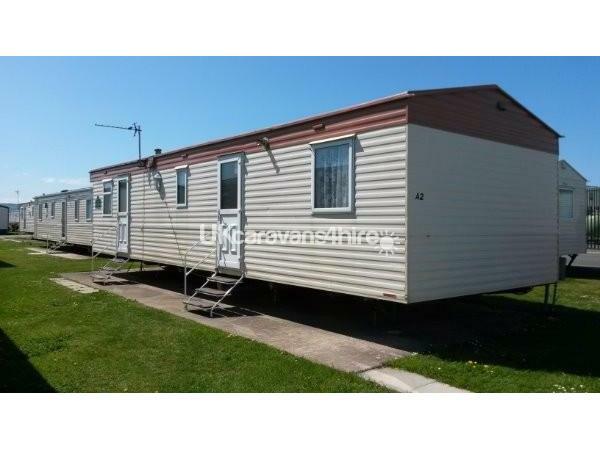 This comfortable, light and well-designed caravan is conveniently close to all the park's modern amenities and has 3 bedrooms (1 double bedroom and 2 bedrooms each with 2 single beds). 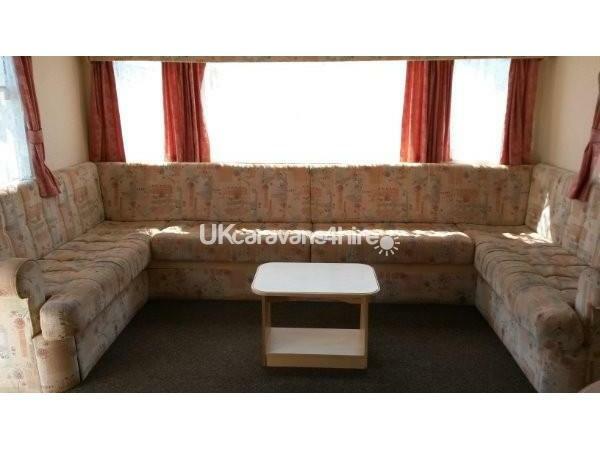 In the spacious lounge and dining area there's a sofa that folds out as a double bed, which makes it a maximum occupancy of 8 people. 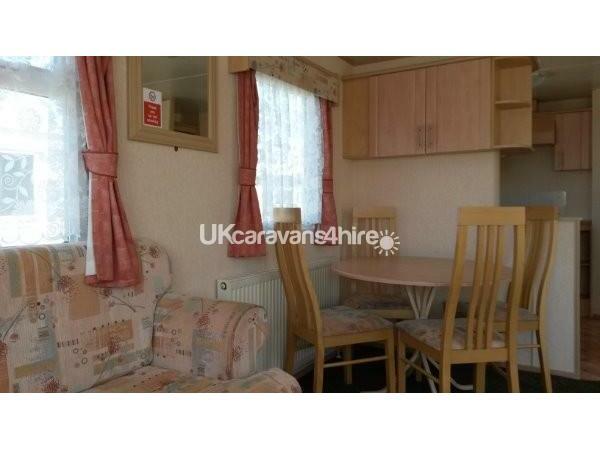 The caravan comes complete with cutlery, crockery, cookware, pillows and duvets N.B. Please bring your own bed linen, towels and tea towels. 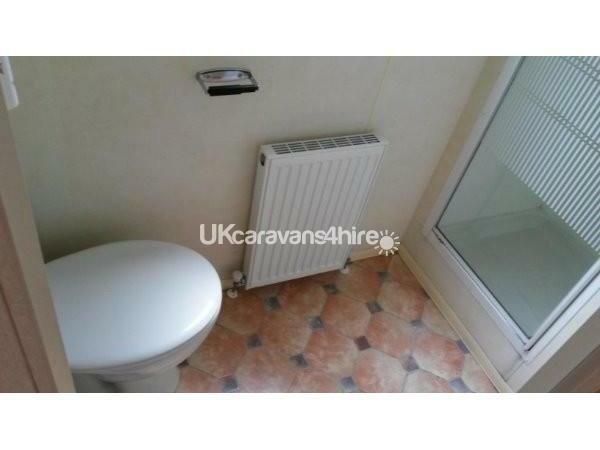 Toilet, sink and shower as bathroom. 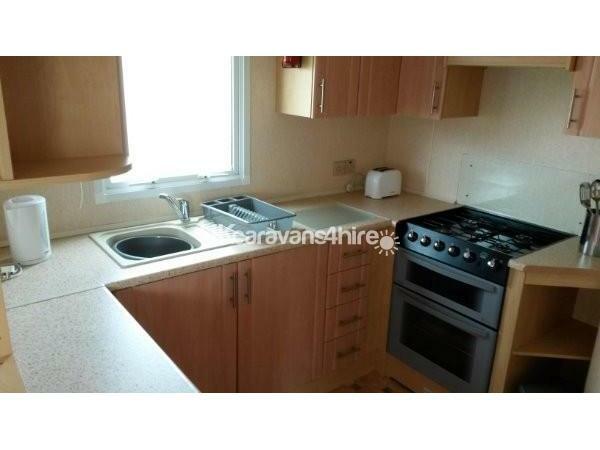 Complete with oven, fridge freezer, gas fire in the living area, double glazing, central heating, TV & DVD player, toaster, kettle and microwave. Parking is just across from the caravan. 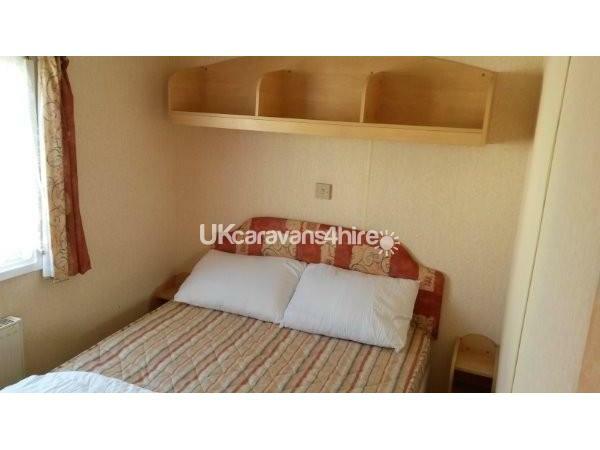 Golden Sands Holiday Park is a well-appointed and maintained park suitable for holidaymakers of all ages. On-site there is a club with entertainments bar and restaurant, children's play area, park reception, indoor pool with children's pool and jacuzzi, multi-use sports pitch, kids clubs during school holiday time for under 5's and 5-11s and dedicated base club venue for 12-17s, a chippy, amusements, pool table and a launderette. 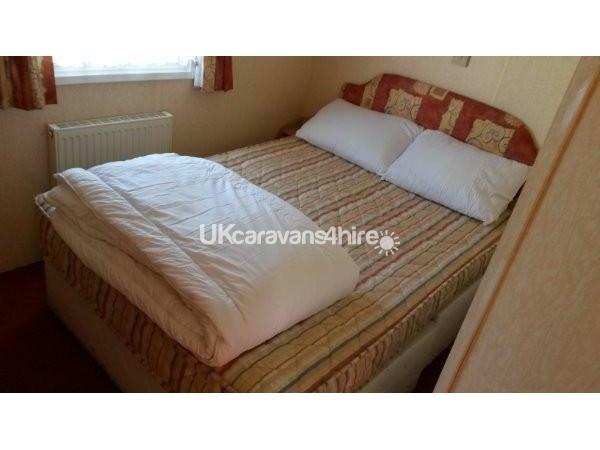 The beach is about a 2 minute walk from the caravan and accessible directly from the holiday park. There is an ASDA supermarket, a weekend market and funfair all within walking distance. Golden Sands Holiday Park requires guests to purchase passes to use park facilities and gain entrance through security (also for health and safety reasons). Passes can be purchased on arrival from reception. 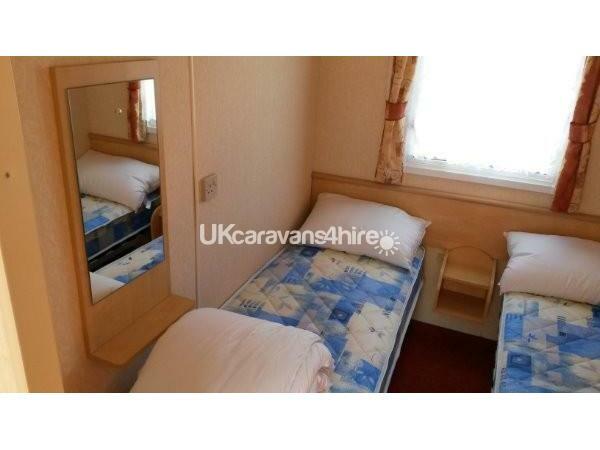 A £100 deposit is required upon booking, which is non-refundable if holiday cancelled. 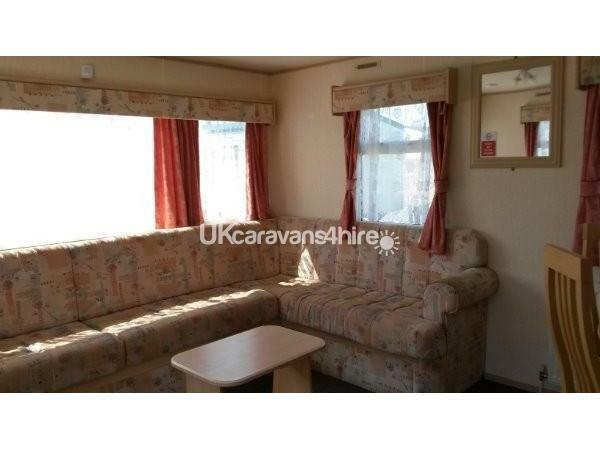 We charge a £50 damage waiver fee which is returnable after the holiday following inspection of the caravan. We require full payment 6 weeks prior to the start of the holiday. Note: IF BOOKED AFTER 6 WEEKS THEN FULL PAYMENT IS REQUIRED AT THE TIME OF BOOKING.